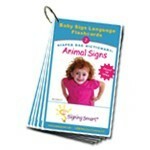 This book is designed for families or caregivers who feel confident and comfortable signing with their children and seek to go to the "next level" to use signs as tools for conceptual development, for facilitating longer signed and/or spoken sentences, and to enhance learning. 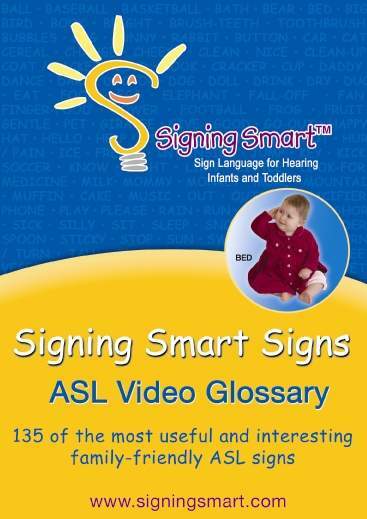 1) The Signing Smart Intermediate dictionary: an easy-to-use resource, with more than 90 all new adult photos and descriptions of family-friendly ASL signs. 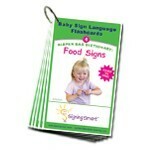 As an added bonus, the dictionary contains photos of babies and toddlers producing each of the signs, so parents can see what children?s versions of any given sign might be! 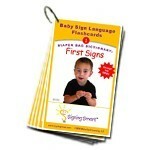 2) Information about language milestones (e.g., early sentences and early conversations in both signs and speech) and ways to use signs to support, encourage, and facilitate speaking. 3) Ways to use signs to promote a love of reading and to enhance storytelling. 4) Suggestions for using signs to highlight and facilitate the understanding of various concepts, be that opposites, part-to-whole groupings, homonyms, etc. 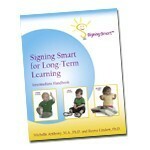 5) Additional Signing Smart strategies to allow parents to create longer more sustained interactions, which further intimacy, communication, and learning. 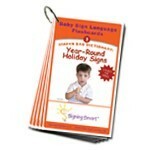 Click here to see what others are saying about our Handbooks and Kits!